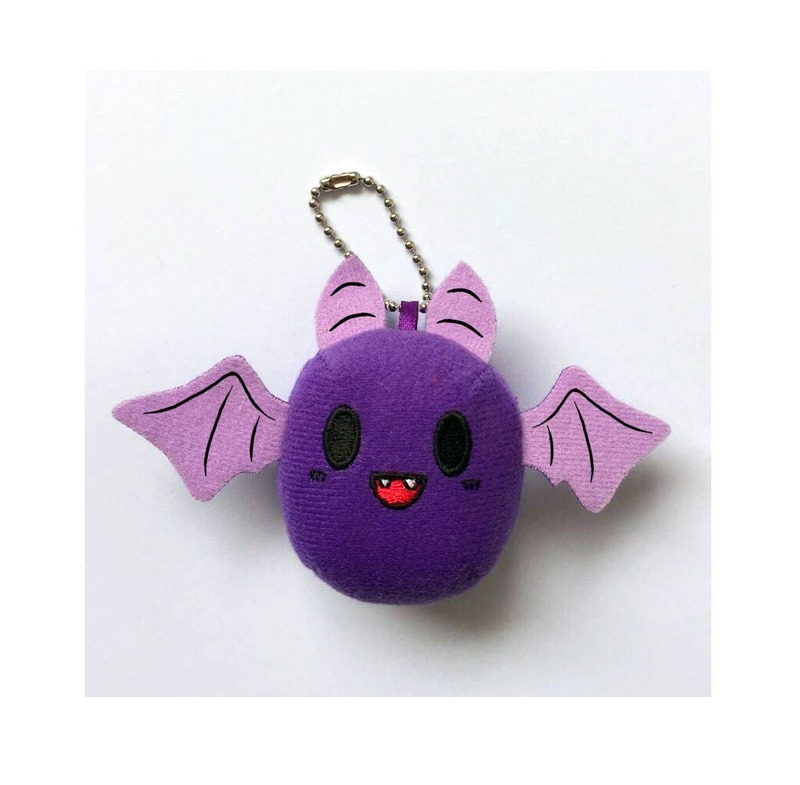 This tiny Baby Bat is a staple plush of Creepy Kawaii, now in small keychain form! When I was hand making my plush, Baby Bats were my number one seller, but I had to stop making them by hand when my schedule got too busy. I am happy to offer them again (now fun sized)! Baby Bats are made from soft nylex fabric, are about 2.5" in size, and are stuffed with poly stuffing. Features a silver ball chain keychain.